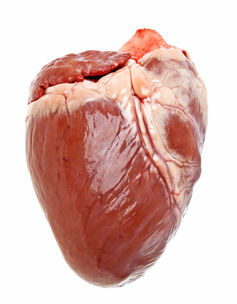 How long before we can transplant an animal’s heart in a human? The announcement that researchers in the US kept a genetically engineered pig’s heart beating in a baboon for nearly three years has, in some quarters, revived speculation about the prospect of pig organs being suitable for transplantation into humans. Research into xenotransplantation (the transplant of live organs, tissues or cells from animals to humans) dates from at least the 1900s, when research on it and allotransplants (human-to-human transplants) ran in parallel. Interest in animal-to-human transplants was renewed in the 1980s when the development of immunosuppressant drugs, such as cyclosporine, made transplants between humans more effective. The hope was that such drugs –- which lower the body’s ability to reject a transplanted organ – could be used in cross-species transplants. Also, advances in genetic engineering and cloning in the 1990s and 2000s resulted in genetically engineered pigs without the antibody that leads to their organs being immediately rejected by humans. These two advances led some to believe that cross-species transplants were an imminent possibility. While some may see this latest research from the US as moving us a step closer to xenotransplants, a closer inspection of the study indicates that it is premature to view such a prospect as imminent. There are several reasons why this research is more of an inch than a significant step forward. In this study, genetically engineered pigs’ hearts were transplanted into five baboons and while one of the hearts remained healthy for nearly three years, one baboon died from an antibiotic-resistant infection about five months after the transplant. The median (middle) survival rate was 298 days. While a survival time of nearly three years might seem reasonable given the shortage of human organs available for transplant, it is important to note that these were not life-supporting transplants – the baboons’ hearts remained in their chests with the pig hearts attached to the baboons’ abdomens. So the pig hearts were not functioning as the baboons’ hearts. And only one heart survived in a baboon’s abdomen for nearly three years. The baboons were initially given large doses of immunosuppressant drugs so that their bodies would not reject the pig hearts. These drugs are needed because even though pigs can now be genetically engineered to minimise the risk of hyperacute rejection – where the organ is rejected within minutes of being transplanted – the baboons’ immune systems still need to be suppressed to prevent their bodies perceiving the hearts as foreign. The large doses would not be tolerated by humans in the long term and so the researchers reduced the level of the immunosuppressants to see if the pigs’ hearts would still function. When they did this, two of the baboons almost immediately began to reject their hearts and the anti-pig antibody in them was reactivated. While the pig hearts connected to two of the baboons continued to function with the lower dose of drugs, once the immunosuppressants were discontinued altogether the hearts were rejected (at 616 and 945 days). These are important findings because if such an immunosuppressant regime was replicated in a pig-to-human transplant, it seems that the recipient’s immune system would need to be suppressed on a long-term, if not lifelong, basis – otherwise the anti-pig antibody could well return. Whether people would tolerate taking these drugs for a lifetime is a different matter and research on this is still needed. While the study may provide further evidence that there are ways of managing one of the types of rejection that is predicted to follow from a xenotransplant, there are other types which have yet to be addressed. These have not been studied in detail because they do not come into play until instant hyperacute rejection has been addressed. So, we do not know how these other forms of rejection will operate, if at all, nor have we really begun to consider appropriate strategies to counter them. As these were not life-supporting transplants, we still do not know whether – and this study is clearly not evidence that – a pig’s heart could function and support the life of a baboon, let alone a human. The question whether the heart of a quadruped can appropriately function in a biped remains unanswered. While strategies to meet the shortfall in organs available for use in transplantation shouldn’t be too readily dismissed, given the huge human cost involved, it would be rash to suggest that we are now significantly closer to using genetically engineered pigs as sources of organs for humans. She is slowly starting to trust again. Stranded, with nothing to do but cling on to the only tree left, this orang-utan was left to starve and die. Why Don’t We Wipe Mosquitos Off The Face Of The Earth? A blood-sucking, disease-spreading, whining creature is always going to be a hard sell.